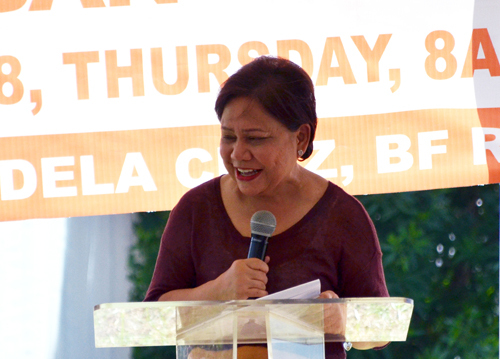 Urban gardening can cushion the impact of inflation: Sen. Cynthia A. Villar, chair of the Senate Agriculture and Food committee, encourages the planting of veggies even in small pots and plastic containers to minimize the impact of the high cost of food products. She says this would also provide families healthy supply of foods. The senator leads the graduation and harvesting of veggies planted by participants to the training on Urban Vegetable Farming at the Villar SIPAG Farm School Las Piñas-Bacoor sponsored by Villar SIPAg in partnership with Allied Botanical Corporation.